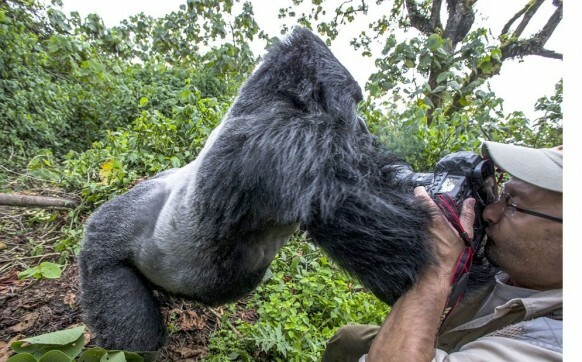 Okay, aside from the price differences with the Rwanda gorilla tracking permit now at $1500 and Uganda gorilla going for $600 (and $450 in November, April and May), could there be some real difference in the experience one finally gets? As all the mountain gorillas in both countries are the same species only separated by national boundaries, the only difference that should mainly arise is in your experience in the tracking and the general gorilla tour arrangement. Because Rwanda’s Volcanoes National Park is only about 125kms from your arrival airport – Kigali, it makes much easier to access by road. For Uganda’s Bwindi/ Mgahinga, you would need 8 hours to drive from Entebbe Airport and another 8 hours back to the airport, although daily flights are available (taking about 50 minutes). With this prevailing, you would need at least two days to complete your gorilla tour in Rwanda and 3 days for a Uganda gorilla tour. So, even though the Uganda gorillas permit are cheaper, you would incur a transport cost of about $500-$600. Some visitors choose to arrive in Kigali and arrange to visit Bwindi from Kigali. You would still need 3 days for the entire tour. As you drive the 8 hours to Bwindi Impenetrable National Park, the scenery is really amazing. Besides the usual stops – at the Equator, you get to see fantastic views of the region fames as “the Switzerland of Africa”, Lake Bunyonyi. The traditional village setting along the way is another thing to behold. On any drive, you are sure to traverse at least one other national park (either Kibale or Queen Elizabeth National Park famous for tree climbing lions and many other big mammals, or Lake Mburo National Park) sighting a number of animals along the way like lions, elephant, zebra, antelopes among others. You also have wider opportunities for extending your tour for greater exciting experiences in other protected areas in Uganda which is not necessarily the case for Rwanda. Although even in Rwanda you can visit the Akagera National Park (now with rhinos, giraffes and lions), Nyungwe NP for more primates and relax at Lake Kivu, this won’t tally at all with the opportunities offered by the 10 national parks of Uganda. Many have argued that the terrain in Uganda is rather rough and it is smoother in Rwanda. No, this is not true in any sense. The terrain is both rough and smoother in either countries. It is the location of particular gorilla families that determines how tough or smooth your gorilla trek will get. Many of the gorilla families located in the north of Bwindi offer very little challenge to track. Yet families in Bwindi’s Nkuringo and Rushaga sectors are located on/ along ridges which offers a good challenge in tracking them. In Volcanoes National Park, there are gorillas families that offer little challenge to tracking while for families like Susa, you might spend the entire day tracking. Many have also argued about the thick undergrowth in either parks. Some sections of Bwindi can really be thicker making photography a challenge. But when you finally locate the gorillas, they mostly be in open places and photographs can easily be taken. Volcanoes NP is not much different except that the way to the gorillas has less undergrowth making photography (along) much easier. Every other day when starting the gorilla trek, Volcanoes National Park will have a traditional cultural dance troupe perform for the trekkers which is not so in Bwindi. Instead you get to watch a short film about gorilla conservation and the usual briefing in Bwindi before the trek. Why then the difference in the Gorilla Permit price? In proposing the $1500 for a gorilla permit, Rwanda Development Board asserted that they wanted to offer more community support for park neighbors. They also intend to raise more funds for supporting conservation of the mountain gorilla. We also observe that Rwanda has a tarmac road leading up to the Volcanoes National Park headquarters and it takes not more than 2 hours to reach the park from Kigali International Airport. We also observe that in all honesty, the gorillas are the best you can get from Rwanda. Experiences from the other attractions really offer no serious competition to similar offers from the regional neighbors. Many tourist indeed only fly into Rwanda for the gorillas and then do the other days in Uganda, Kenya and or Tanzania. Some even land in the wee hours of the morning, track the gorillas and fly out in the evening on the same day to a neighboring country for a week or more for more touring. Aside from the gorilla tracking permit fee and transport to the park, Rwanda would not be reaping much from such one-day tourists who only spend on gorillas. With the $1500 at hand, Rwanda will now still earn a bare minimum regardless of how long you spend and if you chose to visit their other parks, well and good; they will even give you a discount for that! Uganda has assured the industry that they will not change the gorilla permit fee for at least 1 year. They are certainly sure that even with the low permit price, a tourist can spend more nights in Bwindi are doing other activities and there is more chances of a tourist visiting the other 9 national parks and spending more there. To many, driving along Rwanda’s paved eucalyptus avenues to the gorillas in not the best deal. Indeed many to purchase tour packages combining both Rwanda and Uganda, first doing Gorillas in Rwanda and then crossing to Uganda to visit Queen Elizabeth National Park for the BIG 5 safaris and chimpanzee tracking among other tours. Maybe you could have a different reason for preferring gorilla trekking in one country over the other. Please let us know so that we all make more informed choices in our planning.